Defined benefit pension plans are under pressure, especially in the private sector. In some instances, benefits are being reduced. In other cases, DB plans are being replaced by Defined contribution or individual account (eg., RRSP) plans. It would appear that traditional sponsors of DB plans have concluded that they are just not worth it. In many private sector workplaces, DB plans are being eliminated leaving individual employees to solve the financial security in retirement problem alone or through expensive individual services. At the same time, two stock market meltdowns in less than a decade have exposed to everyone the frailties of the current go-to alternatives‒ DC plans and individual account plans. This paper explores a new pension paradigm that uses the best elements of current DB and DC plans to the benefit of the participating parties, while minimizing their worst elements. The goal is to provide a retirement solution that recognizes the likely needs and skill sets of all stakeholders in a reasonable future marketplace. The proposed model is best described as a ‘pooled target benefit pension plan (PTBPPs)’. The paper shows that such plans would retain many of the best features of existing multi-employer pension plans and the Canada/Quebec Pension Plans (C/QPP). PTBPPs also have much in common with the best of the TIAA-CREF plans that are used in the education sector in the United States as well as other successful pension plans from around the world. For the employer, a PTBPP is a DC plan. The employer is not directly responsible for plan governance, administration, or investments. The employer’s responsibilities essentially end when the agreed upon contribution is made. The contribution may be changed from time to time, but only with the employer’s agreement. The assets and liabilities of the PTBPP do not form part of the employer’s accounts. The employer simply expenses actual employer contributions made to the PTBPP on an ongoing basis. For the employee, a PTBPP would establish target benefits that are defined by selected formulae. The employee would share risks with other plan members. Plan participants would receive regular updates for their expected retirement benefits. The participants would be able to better place their pension benefits in the context of their overall retirement plan and determine what, if any, need exists for supplementary personal savings. These updates would also remind participants that benefits are not guaranteed and will help them to adjust their plans before it is too late. A third-party would manage the PTBPP assets and liabilities with representation on the board of the third-party manager reserved for the employers, employees, and pensioners who have direct interest in the plan. The board would encourage all stakeholders to select representatives with pension expertise. The relationship between the PTBPP total contribution rate (employer and employee combined) and target benefit(s) would be managed on an ongoing basis using slightly conservative actuarial projections of the current assets and future expected contributions, asset returns, benefits, and expenses. The paper also advocates creating large asset pools for all pension participants. Clearly, size matters. Larger plans can run at lower per unit expense ratios and can also achieve entry into a wider variety of investment opportunities not available to a smaller plan. Larger funds can also be used to manage some of the underlying liability risks through the benefit of the ‘Law of Large Numbers.’ Large funds can be especially important when managing a plan member’s longevity risk during the payout phase. Investment mandates and payout methods would be established to reflect the needs of the particular PTBPP and its members and pensioners. Member communication prior to retirement would focus on the relationship between target benefits and the contributions needed to support those targets. After retirement, dedicated pensioner assets would be pooled to share investment and longevity risks fairly among the pensioners. Any good experience would be used to improve the benefits of the affected member using protocols set in advance. Any bad experience would be used to reduce benefits. There will be risks, but sharing risks among a large number of members should provide an acceptable result for everyone. No one will outlive their savings! The end result is that the employee in a DC plan today would move from an ‘I don’t really know what to expect’ to a solid ‘I expect to be financially secure in retirement’ expectation. Inherent in the concept are that all smaller plans (DB, DC and even individual accounts) should commingle their assets to achieve ‘size.’ This will provide better opportunities for efficient investment mandates to be established and will allow appropriate, and statistically sound, pooling of assets for pensioners during the payout stage. The concept will also require a shifting of expectations away from the ‘personalization’ of pension plans for each employer to each employer agreeing to work within well-established PTBPP plan parameters. An employer joins the PTBPP and accepts the PTBPP plan rules. A PTBPP could be established to support a short array of potential target benefits that the employer, and then the employees, could prioritize. Ultimately, the employee controls the benefits being targeted and the total contributions being made to support the employee’s personal benefit targets. It is becoming increasingly difficult for employees to achieve financial security in their retirement. There are several reasons for this. First, many employers have backed away from sponsoring workplace defined benefit pension plans. They find that with increased longevity, low rates of investment return, and accounting for liabilities on a mark-to-market basis, these plans have become extremely costly. They are also worried about managing the volatility of these costs as the returns on investments and the cost of settling liabilities have become ever more volatile over the past two decades. This has created volatile funding costs. In response, they have followed one of three paths. They have substituted formal defined contribution plans for their now defunct DB plans; they have set up administrative systems that allow their employees to participate in individual retirement savings schemes through payroll deductions, sometimes with incentive employer contributions, and with lower costs than available to an individual in the open market (eg., 401(k)s in the United States, group RRSPs in Canada); or they have just left the provision of retirement income to the individual employee with no sponsorship of any kind. Many employers have changed their approach from ‘we will look after your retirement income’ to ‘you are on your own.’ Not because they wanted to change, but because they believed they had no choice. 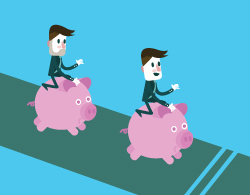 At the other end of the current retirement security spectrum, existing DC plans and individual retirement savings schemes are facing two challenging trends. First, individual life expectancy is rising. Thus, more money is expected to be needed to provide the same monthly benefit over a longer life. Second, rates of investment return are down and more volatile meaning that less money is accumulated in one’s capital accumulation account unless contributions are increased (and there is more uncertainty surrounding the level of contributions that will be needed to provide the same benefit). In addition, members of DC plans or individual savings schemes are only now coming to realize one of the biggest hurdles associated with these plans. Once they reach retirement age, they have two choices ‒ purchase an expensive annuity to ‘guarantee’ their monthly income for their lifetime or continue to actively manage their assets and pay themselves an income until they die. These are not optimal choices. Do we really expect a 90-year-old to be able to ‘manage’ their retirement income well? Or an 80-year-old? Or a 70-year old? Or for that matter, most 65-year-olds? Will the popular press pension story 10 years from now be our failure to provide the baby-boom pensioners with the necessary tools to manage their retirement income? In the workplace, it is now clear that the days when private sector employers viewed a DB pension as a necessary human resource investment are gone. At the same time, the financial crisis of 2008/9 has demonstrated again the potential frailty of saving for retirement in a DC world. Employers do want good pension products just not the current single-employer designed and administered DB plan. They feel forced to provide a DC plan or nothing at all. Employers want better pension plans that remove the burden of pension risks from them. They are happy to pay for pensions as part of the total compensation package, just not over and over again. Both employers and employees want a pension plan that provides reasonable benefits targets that are managed well for them. What this paper attempts to do is to propose a new pension model that reduces the known risk and then shares the remaining risk more appropriately between sponsors and employees and provides both sides of the pension contract with most of the advantages of both a DB and a DC pension world. In this paper, we define risk as the failed delivery of a member’s targeted retirement benefits. For workplace pensions, two plan designs have traditionally been used to provide retirement income security. Those systems are defined benefit and defined contribution. Each has its own advantages and disadvantages that will now be reviewed. A traditional Defined Benefit (DB) plan is a pension plan under which an employee receives a set monthly pension upon retirement, guaranteed for life or the joint lives of the member and the member’s spouse. This pension may or may not include a cost-of-living increase each year during retirement. The monthly pension is determined based on a formula that normally reflects the participant’s years of service, age at retirement, and, often, the highest (or final) average earnings over a specified number of years at retirement. Some DB plans use a formula that does not reflect the participant’s salary, but the formula does generally reflect earnings, at least indirectly. In more recent year’s accounting and valuation risks have been added to the plan sponsor, especially in the private sector. While the plan sponsor ‘carries’ these risks, the resultant costs may ultimately be borne by shareholders of the company or even consumers if goods produced by the company go up in price to pay for the promised pension benefits. Employees will argue that all of the resultant costs are ultimately borne by the employees through their total compensation package. This paper will not take a position on this point. It will be the position of the paper that, regardless of who ultimately pays the bill, it is the plan sponsor who decides whether the plan will be DB or DC or whether there will be a plan at all. What is not debatable is that, if the employer decides to sponsor a DB plan, then the plan sponsor must accept the consequences of, and manage, the traditional risks. In the early days of pension plans, workplace DB pension sponsors were able to offer significant benefits, but faced a relatively low actual cost. This was true because vesting periods were long, indexation of benefits was rare, and pension funding requirements allowed for the use of discount rates that reflected the full equity ‘risk’ premium plus a number of averaging mechanisms in determining the funding status. A mark-to-market requirement was not even contemplated. With the introduction of many Pension Benefits Acts in the 1970s, vesting periods were shortened. 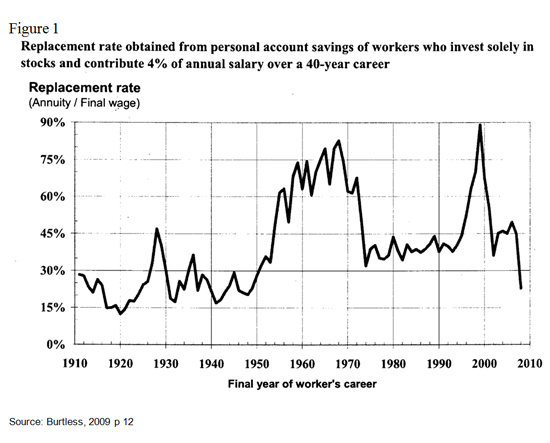 With the high inflation rates of the late 1970s and early 1980s, more employees bargained for inflation protection, both before and after retirement (cost of living adjustments). During the 1990s, workplace plan sponsors were able to continue to promise generous retirement benefits while incurring relatively small costs because of the very high real investment returns experienced during that decade. But, since 1999, we have experienced two equity market meltdowns leading to much higher actual pension contribution levels. We have also experienced an inexorable decline in market interest rates leading to an increase in market liability valuations. This has resulted in both higher DB plan costs and a higher volatility of DB plan costs. Today, this is being exacerbated by evidence of increasing, and accelerating improvements in, life expectancy. Add to that the fact that over the last few decades, accounting rules have pushed for ‘mark-to-market’ valuations with no smoothing and a liability discount rate that reflects a costly ‘immunized’ investment portfolio. These factors and the continuing maturation of pension systems (the increasing ratio of retirees to contributors) have all had their part in raising the cost of pensions today. Perhaps more importantly, the volatility of contribution rates has been raised significantly (regulatory changes have also generally accelerated the timing of minimum contributions required to be made today rather than down-the-road). Low interest rates and recent market experience has also exacerbated this volatility. Thus, many private sector plan sponsors have decided, or have been forced to conclude, that they can no longer afford the vagaries of the full DB promise. While these forces have emerged for DB plans in both the private and public sectors, they have been especially damaging to the private sector. Many of the accounting and regulatory changes have affected private sector DB plans more directly. Further, an employee in a private sector SEPP (single employer pension plan) lives with the risk of the insolvency of the plan sponsor at a time when the liabilities of the plan are not fully funded. Once in bankruptcy, the pension plan and its members, including pensioners, have very limited rights to attach to any remaining assets of the plan sponsor. Finally, traditional DB plans provide less than full portability of accrued benefits because of the method used to calculate termination benefits. For example, the financial cost to an employee leaving a typical final average DB plan in the private sector midway through his or her career could represent a loss of benefit accruals of as much as 45 per cent relative to a continuing plan member with similar career earnings. This section includes both employer-sponsored DC pension plans and individual account systems (eg., 401(k) plans, IRAs and RRSPs). Under a traditional DC plan, the plan sponsor sets a contribution level, selects investment options for the plan members, and monitors the results. Often the link between contribution levels and expected benefits is not managed. Clearly, an individual employee is not capable of managing these risks. While many of the risks can be mitigated by the employer or pension plan provider to a certain extent, we would argue that most cannot be avoided in totality or can only be avoided at an unreasonable cost under a traditional DC plan. An individual pensioner has less hope of managing these risks well, but is often left to his own devices under a traditional DC plan. That is, the pensioner is sent on his way at retirement and no longer has the benefit of the DC plan sponsor’s support, as limited as that may be. The combined pre-retirement investment and interest rate risk, which is the responsibility of the individual employee under a DC plan, is illustrated nicely Figure 1. Clearly, the employee can decrease the investment risk by choosing less volatile investments such as government bonds. While it is true that the volatility decreases markedly, so too do the replacement rates as seen in Figure 2. Another lesson can be learned from Figure 2. A career employee is best served by investing 100 per cent in stocks at all the end dates. It is never better to invest 100 per cent in bonds or even to invest 50 per cent/50 per cent in stocks and bonds. While Figure 2 ends in 2009, similar outperformance through a 100 per cent stock strategy has continued through the end of 2015. In all fairness, there do exist programs to mitigate the investment risk. For example, we have investigated a strategy where a member invests 100 per cent in stocks and then transitions his investments into long bonds during the last 10 years of his working life (i.e. transition one-tenth entering the 10th year, one-ninth entering the ninth year, etc.). This member would have a higher expected and less volatile replacement ratio than the member using the 100 per cent stock investment strategy. In the real world, employees tend not to shift their investment portfolio mix as they approach retirement. Even though the literature tells us that one should move out of a strong equity portfolio to more of a bond portfolio as one nears retirement (life cycle investing). This is seldom actually seen when individual employees manage their investment affairs (see Munnell et al 2013). Thus, many (most) individual account holders lost 20 to 30 per cent of their equity investment values between the summer of 2008 and the spring of 2009. Work by the OECD (Antolin, 2009) indicated that the market crash of 2008 could have led to a drop in replacement ratios of almost 10 percentage points. For example, an individual in the U.S. lucky enough to have reached retirement age 65 in 2007 would have enjoyed a replacement ratio equal to 24 per cent while the unlucky individual reaching age 65 at the end of 2008 would have enjoyed a replacement ratio of only 15 per cent (assuming defined contributions of five per cent over 40 years and a fixed portfolio of 40 per cent domestic government bonds and 60 per cent in domestic equities). There are some new investment products being made available to the individual investor that use life cycle investment strategies. While a step in the right direction, many individual investors do not select the life cycle investments, many of the investment procedures underlying the funds are overly conservative and, in many instances, the life cycle funds are just too expensive. The employer/sponsor may suggest a number of investment options, but research has shown that members do not select well. They tend to be overly risk averse. (Interestingly, the more options that are provided, the higher the probability that the employee will choose the default option (Antolin, Payet and Yermo 2010)). Such an approach can also add significantly to the real costs of the DC plan. Or, the employee may hire an investment advisor if one is not provided through the DC plan. In a way, however, this only shifts the investment risk over to the expense risk (actually it may ‘lock in’ higher expenses) and may not reduce the investment risk at all. Individuals can easily lose up to three per cent of their gross rate of return to the investment advisor or fund manager (referred to as the management expense ratio or MER). 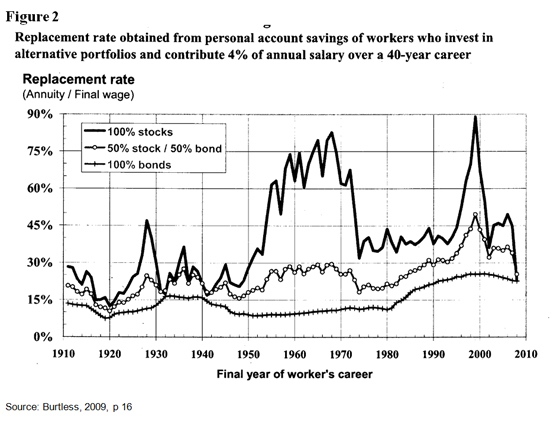 If funds earn in the neighborhood of five per cent per annum and inflation runs close to two per cent (not unusual assumptions for today) then such an employee is actually receiving effectively no real rate of return at all. If that doesn’t scare you, we have completed calculations that indicate a one per cent annual reduction in investment return ‒ or, equivalently, an increase in investment expenses ‒ will result in a reduction in a career member’s account balance at retirement of about 20 per cent to 25 per cent. That will result in 20 to 25 per cent reduction in lifetime benefits, all else being equal. On a macro-economic basis, one result of this investment risk or volatility is that DC plans produce counter-cyclic retirement patterns. That is, when the economy and, as such, the capital markets are weak and we would like employees to retire (to ease unemployment, control expenses, or allow for succession), employees will have deflated DC asset values that will force them to work longer. Similarly, when times are good and DC balances high, employees will choose to retire just when we need them for an expanding labor force. A second major risk for a DC individual account participant is longevity. If the employee does not buy an annuity at retirement, effectively, they must self-annuitize. That is, they must determine a program of income withdrawal that is optimal for them. Depending on their desire to leave a bequest (which we ignore here), they will want to take out the maximum income possible without creating the threat of outliving their assets. That is a lot to ask. Who knows their life expectancy? And covering your estimated life expectancy is not enough. One would be wise to cover one’s life expectancy plus at least one standard deviation. So, if employees want to be sure that they will not outlive their assets, they must make very conservative withdrawals. That means they live at a lower standard of living than is necessary. If they take more aggressive withdrawals, then they increase the probability of outliving their assets and thus becoming dependent on friends and family or on government programs for their continued consumption. This should be a concern to taxpayers who will pay for those welfare benefits. This also creates inter-generational inequities as most government welfare schemes are pay-as-you-go. The employee can mitigate the longevity risk by buying a life annuity upon retirement. However, this again raises the expense risk as insurance companies must operate in a for-profit context. Further, many employees cannot get a true market-value annuity in today’s marketplace. That is because insurers assume that if an employee voluntarily applies to purchase an annuity then that employee must be in five-star health and the annuity is priced accordingly. Very few employees have five-star life expectancy, but they get painted with the ‘one-size-fits-all’ brush. Annuities can be a cost-effective method for protecting benefits, but not necessarily for all employees. Purchasing an annuity also leaves the employee open to the interest-rate risk on the day of purchase. Finally, it is very difficult to get an annuity that provides true inflation protection. One can buy variable annuities whose payouts move with market values, but market values do not correlate well with inflation. Or one can buy an annuity where the annual payout increases according to a set (constant) inflation factor, but this is far from true inflation protection and, of course, this feature greatly decreases the initial monthly payout. Inflation protection is a worthy social goal, one that individual account DC plans cannot cost-effectively achieve. In total, the traditional DC plan creates more problems than solutions. You do not provide retirement income security just by saving for retirement. One of the problems with individual account DC plans, in achieving retirement income security is the fact that one individual is attempting to mitigate many of the retirement income risks alone. Many advantages can come from having a larger asset pool, either by being part of a very large employment group or by allowing smaller pension funds (including registered retirement accounts held by individuals) to commingle their assets. Not only can you achieve savings in the expense of administration and management, but there are also investment opportunities that exist for large funds that do not accrue to smaller funds (eg., private placements). Work by Keith Ambachtsheer, displayed in Table 1, shows how important plan size is with respect to the investment expense. Table 2 tracks the impact of investment expense ratios and shows how profoundly they can affect the aggregate pension benefits and working income replacement ratios of retired plan members. The data assume an annual contribution to a plan of $10,000 over 40 years for an employee making $50,000 per year. A study for New York City employees found that it would be 57 to 61 per cent more expensive to deliver the same benefits under a DC plan using individual accounts than it would with the existing DB plans (Fornia, 2011 as quoted in Brown and McInnes, 2014). In a 2015, Munnell et al analyzed data comparing returns by plan type from 1990-2012 (U.S. Department of Labor). During this period, DB plans outperformed 401(k)s by an average of 0.7 percent per year, even after controlling for plan size and asset allocation. In addition, much of the money accumulated in 401(k) plans was eventually rolled over into IRAs, which earn even lower returns. One reason for the lower returns in 401(k) plans and IRAs is higher fees, which should be a major concern as they can sharply reduce a saver’s nest egg over time. We have experienced similar results in Canada when analyzing returns obtained under locked-in retirement accounts (LIRAs) and RRSPs. In particular, larger plans, when professionally managed, achieve greater efficiency and effectiveness as compared to DC plans that are made up of individual accounts and can thus deliver any given level of benefit at a lower cost. That is, larger plans squeeze the most benefits from a given level of contributions. Clearly, the harder the money works, the easier it is for everyone involved. Collectively managing investments will provide an expense advantage. Of that there is no doubt. Collectively managing investments will also result in better investment management and, therefore, better investment returns. 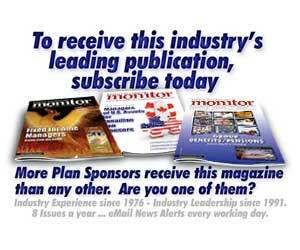 A 2011 Texas study that looked at the ramifications of converting DB plans to DC plans found that in any DC plan with a self-directed component (eg., members select their investments from a menu), just eight per cent of members would do better in retirement than under the existing DB plan and 92 per cent would do worse. Two-thirds would do significantly worse, receiving 60 per cent or less of the current DB benefit. Robertson Eadie & Associates conducted an independent study in Canada that compared the investment returns obtained by individual investors in a DC plan which provided the members with investment choice against those obtained by a pension committee that collectively managed the investment process on behalf of all of its DC plan members using the same investment techniques and mandate as were used for an existing DB plan that was also being managed by the committee. The collective plan obtained a 96 percentile rating. That is, only four per cent of the individual DC plan investors beat the collective result. Further, this result was before investment expenses were considered. The collective result was better than all individual results studied, after investment expenses were deducted. Individuals just don’t manage their investments well and certainly not as well as professionally managed collective funds. In Canada, approximately 75 per cent of every DB pension dollar of benefits comes from investment returns ‒ a testament to the sound funding and best in-class investing of the pension funds (ie., only 25 per cent of benefits come from contributions) (Brown and McInnes, 2014). Net, after expense, investment return matters. It matters a lot. Further, if a commingled fund is established to actually pay out retirement income, then a large collective plan has the advantage of pooling the longevity risk resulting in more control of this very manageable risk. To illustrate this concept, consider a 65-year-old male who is just about to retire with a retirement account of $500,000 (not an unreasonable amount for a middle-class employee who has consistently saved for retirement). This member has two main choices in the current marketplace. He can buy an annuity from an insurance company or he can continue to invest on his own and pay himself an income. Using a mortality assumption that is currently mandated in Canada for pension actuaries, we determined that this 65-year-old individual can expect to live for about 21.6 years (ie., to age 86.6). The cost of an annuity certain with an annual income of $10,000 is $164,400 using an annual discount rate of three per cent per annum. That is, an investment of $164,400 would allow a 65-year-old male to pay himself $10,000 a year from now until age 86.6. The $10,000 each year would be adjusted to reflect actual investment income (ie., if the member earned four per cent in one year, his future payments could be increased by one per cent). Therefore this member could start to pay himself about $30,400 per year in retirement income (using the $500,000 fund) and he could expect reasonable increases over time to help with inflation because he expects to earn investment returns that are better than three per cent per annum. This seems like a good strategy until you consider that only about eight per cent of all 65-year old males are expected to actually die within one-year of age 86.6 using the same mortality table. For most members, this is a lose/lose proposition. They either die too young (and have given up income during their shorter actual lifespan) or they run out of money. Most individuals, and certainly most professional advisors, concentrate on the ‘run out of money’ side of this dilemma. Instead of planning to pay yourself for your expected lifetime, they recommend that you plan to pay yourself to some higher age. It is quite common to consider age 90 as a cutoff point. If our 65-year-old male member sets his target to pay himself until age 90, two things result. First he must lower his income from $30,400 to about $28,900, a six per cent drop. He also reduces the probability of outliving his savings from 50 per cent to about 40 per cent, which may not be enough for his comfort. If instead, he wants to give himself only a 10 per cent probability of outliving his savings, then he has to plan to pay himself to age 96. This will cause a reduction in his starting income from $30,400 to about $25,000, a 22 per cent drop in income. Of course, this member will expect to have a larger estate 90 per cent of the time! None of these options seem all that appropriate. If instead, the 65-year-old male takes his $500,000 to an insurance company to purchase a lifetime annuity, then he can expect to receive a lifetime income (adjusted for inflation) of no more than $25,000 if he can obtain this annuity at all. If, however, the 65-year-old male and 10,000 similar individuals agree to deposit their $500,000 into a collective fund that earns a three per cent real rate of return, and agree to start their income at $30,400, then the probability of the fund going bankrupt (i.e., not making a scheduled payment to any of the 10,000 individuals) is virtually zero. To an individual in the collective group, there is no risk of outliving the funds and the individual does not have to accept a lower income. The trade off is that the individual does not use any of the funds to provide an estate. There are no payments to anyone’s estate. Further, if we consider a collective where a similar number of individuals join each year (eg., 400 new pensioners each year), then once the collective reaches its steady state, only about 10 per cent of the members would be more than 90 years old and two to three per cent would be 95 years or older. If the original longevity estimate is off a little, there is a very large group to support the additional payments being made to a very small group. Improved future longevity can be reflected slowly over time without putting the entire collective at risk. If longevity is actually lower than expected, everyone can benefit through increased payments. As is evident, many savings can be provided under a pooled pension arrangement. a DB plan’s superior investment returns, after expenses, save 26 per cent as compared with a typical individual account DC Plan (Almeida and Fortia, 2008). Brown and McInnes (2014) look at the impact of these 46 per cent savings on a model DB plan. Starting with an assumption that the plan earns 6.5 per cent gross they modeled an individual account DC plan as earning 3.5 per cent (46 per cent less). The DB plan used in the analysis was a fairly typical public sector plan with employer (taxpayer) contributions of 12.5 per cent matched by 12.5 per cent contributions from the employee/participants. If investment returns dropped by 46 per cent from 6.5 per cent to 3.5 per cent, these matched contribution rates would have to rise to 22.5 per cent (a 77 per cent increase) to provide equal benefits. Instead of investment returns paying 75 per cent of the benefits, they would only pay 55 per cent of the benefits. A large ‘best-practices’ pooled DC plan (an example being the U.S. Thrift Savings Plans for federal civil servants and uniformed services) would lie somewhere in between. If the motivation for a conversion to DC is to reduce costs, then it should be noted that shifting to DC actually increases the cost of delivering a comparable pension benefit without the pooling of assets. If we accept that neither a pure DB nor a pure DC plan is optimal for the future, can we find an innovative pension plan design that might maximize the advantages of these two traditional systems? Our search is for a plan design suited to the 21st century that is neither pure DB nor pure DC. Our goal is to find a combination of the two designs that uses some elements of each to maximum advantage. Examples Of Target Benefit Plans: Are Multi-employer Pension Plans DB Or DC? A multi-employer pension plan (MEPP) is an employee benefit plan maintained under one or more collective bargaining agreements to which more than one employer contributes. These collective bargaining agreements typically involve one or more local unions that are part of the same national or international labour union and more than one employer. Normally, the plan sponsor is a joint board of trustees consisting of equal representation from labour and management. These trustees are responsible for the overall operation and administration of the plan. The board of trustees is generally the ‘named fiduciary’ and allocates or delegates the administrative functions to persons or entities with expertise regarding the particular function. MEPPs provide benefit security for participants and beneficiaries through pooling of risk and economies of scale for employees in a unionized workforce covered by the plan. They also provide portability of certain benefits and eligibility for those employees who move from employer to employer within the industry covered by the plan. As a result, multi-employer plans often enable coverage accruals to be transferred from employer to employer or job to job so as to avoid interruptions in coverage that would apply without this portability. MEPPs also help employers with a union workforce in the affected area and industry by making available coverages on a more economical basis due to a pooling of risk and economies of scale. MEPPs are often found in industries and geographic areas where several employers are covered by collective bargaining agreements with one or more participating local unions and covered members could work for several of those employers during their career. Examples of these industries include construction, arts and entertainment, retail stores, transportation, service (including lodging and healthcare workers), mining and communication. Ontario regulates MEPPs as DB plans, as do many other jurisdictions. However, they are funded by fixed, collectively bargained contributions (Shilton, 2007, p2). Typically, the benefit formula for a MEPP is the total number of hours worked in the industry for participating employers multiplied by a flat rate. Contribution levels are negotiated at the collective bargaining table and are fixed for the life of the particular collective agreement. With defined benefits funded by fixed contributions, funding shortfalls are always a possibility, and, accordingly, such plans normally permit the trustees to amend the plan to reduce benefits ‘when necessary’: not just future benefits, but also accrued benefits. All MEPPs established under collective or trust agreements are exempt from the prohibition against reducing accrued benefits. Thus, the benefits are ‘target benefits’ to which one can attach an expectation, but not a guarantee. Further, in Ontario, MEPPs plan sponsors carry no terminal liability risk as they do in the U.S. under ERISA. Because benefits are not guaranteed, but can be reduced, MEPPs do not contribute to the Ontario Pension Benefits Guarantee Fund (PBGF). If the actuary finds an ‘insufficiency’ and proposes options, the actuary is required to inform the plan’s administrator. The onus then falls on the plan administrator to advise the regulator of what action will be taken to meet the funding requirements within the Pension Benefits Act (PBA). Finally, under the PBA, the minimum content requirements for the annual statement to members must include a statement that the pension benefits are not guaranteed and a statement that if, on wind up of the plan, the assets of the plan are not sufficient to meet the liabilities of the plan, pension benefits may be reduced. Thus, all MEPPs participants are in pension plans that have an expectation of defined benefits for the employee, but are clearly DC plans for the employer(s). Are The Canada/Quebec Pension Plans DB Or DC Plans? The Canada Pension Plan is the main plank in Canada’s Social Security platform. The Quebec Pension Plan is almost the same, but not identical (eg., it has a higher contribution rate). Employees contribute 4.95 per cent of wages (5.25 per cent for the QPP) between $3,500 and the (approximate) average industrial wage or $53,600 in 2015. These contributions are matched by employers. The self-employed pay the total 9.9 per cent (10.5 per cent for the QPP). The QPP has a higher contribution rate mainly because of lower fertility and immigration rates and because of lower growth in wages. The C/QPP benefit is defined as 25 per cent of your career average earnings (up to the earnings limit each year) increased using a wage index up to the average last five years of the proxy for the average wage. A member without any drop-out periods needs 39 years of contributions on earnings at 100 per cent of the average wage to qualify for a full benefit equal to $12,780 per annum as of 2015 (indexed to the CPI) at age 65. Ask anyone who knows something about the C/QPP whether they are DB or DC plans and the answer will be ‘DB.’ But, in the history of these plans, the benefit structure has been changed many times (even to accrued benefits). And, even as this paper is being written, changes to the benefit structure of both systems are being proposed. One of the biggest changes to the C/QPP was made in 1997. At that time, future benefit cash flows were amended to decrease costs by 9.3 per cent. Also, contributions were increased from six per cent in 1997 to 9.9 per cent in 2003. This 9.9 per cent was meant to be a steady state contribution rate and four CPP actuarial valuations have confirmed that this rate is sufficient over a 75-year time horizon. benefits will be frozen for three years, the time until the next actuary’s report, by treating the cost-of-living adjustment factor as 1.00 so that no increase in benefits is prescribed. The question remains: are the C/QPP DB or DC plans? The authors conclude that almost the entire Canadian labour force is participating in a pension plan where both the contribution rates and the benefit levels are well-defined, but neither is guaranteed. Thus the C/QPPs have both target benefits and target contributions. In both cases, the participants can be said to have a high expectation as to their values, but not a guarantee. Are Jointly Sponsored Pension Plans The Solution? 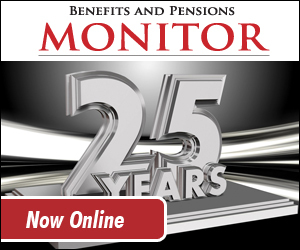 In Canada, some of the largest pension plans are now jointly sponsored pension plans (JSPP), the largest being OMERS (Ontario Municipal Employees Retirement System) with 230,000 active members. Other large MEPPs are the Ontario Teachers Pension Plan (OTPP), and the Healthcare of Ontario Pension Plan (HOOPP) (Shilton, 2007, p9). A JSPP has many of the elements of a traditional MEPP, but with a few important differences. The most important difference is that a JSPP may be sponsored by a single employer. JSPPs also have separate regulations from MEPPs in most jurisdictions which can affect the plan’s funding rules and insolvency rules. Many JSPPs also are able to retain separate plan rules for benefits accrued prior to the plan becoming a JSPP. For example, many JSPPs do not allow the so-called ‘prior benefits’ (benefits accrued prior to the plan becoming jointly sponsored) to be reduced except upon a plan wind up. Similar to a MEPP, a JSPP must be jointly sponsored and the typical JSPP board has representation for both employers and employees. Unlike MEPPs, JSPPs are not just provided to unionized workforces. Many provide benefits based on years of service and highest average earnings close to retirement. JSPPs tend to be very large and provide opportunity to benefit from efficiencies associated with size and are able to provide efficient pooling of benefits for their members. JSPPs work especially well when the members have common interests and have similar working lifetimes. A homogenous member group is often the key to their success. In many ways, a JSPP meets all of the requirements we would impose on an ideal pension plan for both today and for tomorrow. Some of the most efficient plans are JSPPs. There are two major reasons why the current JSPP model needs to be adjusted if it is to be more commonly adopted in the market place, especially in the private sector. The first is that it would be very difficult to find many employee groups in the private sector (or more groups in the public sector) that are sufficiently homogenous. This matters because the benefits formula used for a typical JSPP inherently assumes that ‘one size fits all’ and that a single benefit formula will meet all of the members needs in much the same fashion. For example, the Ontario Teachers Plan works very well, in part, because all of its members were teachers and have similar needs and expectations. The second is that JSPPs are not completely efficient. We say this because they do not separate the needs of their pensioners from their working members. As a result, we believe that they are needlessly inefficient. For example, if a JSPP separated the assets supporting its pensioners from the assets supporting its working members, there would have to be a rethink of their underlying investment policies and procedures. This separation of pensioners from working members would result in more efficient investment strategies, more efficient administration, and would remove the potential subsidization of one generation by another. It may be generally accepted to provide for such subsidization in the current public sector JSPPs, but we suspect that a private sector audience will be much more concerned about intergenerational equity. In describing a new pension paradigm, this paper proposes a system of mitigating pension risks that is present in almost none of the traditional DB or DC systems. In this regard, some pension systems available today provide the employee with little more than a faint hope of retirement income security. We would include in this category many existing individual account DC and 401(k) or RRSP plans with contribution rates that are just too low to result in retirement income security. At the other extreme, many pension plans present the plan participant with a benefit promise that appears to be guaranteed. Such plans in existence today are virtually all in the public service sector and, thus, ultimately supported by taxpayers. They are often DB plans with full inflation protection in retirement. To say that these plans will fail is equivalent to suggesting that the government will fail. In this paper, we intend to move beyond hope, but not as far as guaranteed pensions, toward something one might refer to as a justifiable expectation. Obviously, regardless of what plan an employee/sponsor has today, our ‘hybrid’ plan will mean some gains and losses for both sides. It is the hope of the authors of this paper that these gains and losses will balance out or be so small in total as to be acceptable to all participants. Our end-point will be a plan that can be described as a pooled target benefit pension plan. The ‘pooled’ characteristic of this family of plans results from plan assets and liabilities being heavily commingled with assets from other plans with the intent of reaping the benefits of ‘size’ and the opportunities of pooling. The intent is to target an asset portfolio of $10 billion or more, although many of the pooling ideas will provide benefits to much smaller pension plans that are designed as described in this section. The plan would be governed and administered by an independent third-party. The board for this third-party would have appropriate representation from all stakeholders and, in particular, from sponsoring employers, covered employees, and pensioners. The board would encourage all stakeholders to select individuals with pension expertise. As a result, we would expect that most of the elected representatives would be experts in pension governance, administration, or investments. We believe that this is critical to ensure that the administration is streamlined and that both the member benefits and investments are co-ordinated well. The board will be the management board. This independent management board of pension and governance experts will make major decisions as to the governance of the fund and will liaise with the investment manager(s). They will also decide on any adjustment of benefits. The board must be independent of plan sponsors, employees, pensioners, internal and external service providers, government, and investment managers. We suggest that representation for the pensioners on the management board is an important part of the good governance of the plan. Pensioner interests and employee interests are not always aligned, the same as employee interests in a pension plan are not always aligned with employer interests. Plan assets for employees and pensioners should be managed separately and would have different investment policies and goals. There should be automatic transition procedures to move employee assets from the fund established on behalf of the employees to the fund(s) established on behalf of the pensioners during payout. We believe it is important to separate the investment of employee funds from pensioner funds because the investment horizon and other investment goals are so different during a member’s working age and during an employee’s subsequent retirement. For example, the investment horizon for the employee’s fund would be very long term, resulting in an investment mandate that would be very heavily weighted towards equity investments (if not exclusively invested in equity investments). Such an approach would not be suitable for any fund(s) held for the pensioners. The third-party would be responsible for all governance, administration and investment activities. Employers and members would join because they want the services offered in this plan. The plan is a ‘defined management’ plan. The plan would allow any employer to join as a participating employer. This would include any self-employed member. In essence, we would open the plan to any employer who reports taxable income for an employee or partner. The employer would determine the employer contribution rates for its employees. Additional member contributions would be allowed. The plan would allow a transfer in of any registered savings funds at retirement to allow any member (who would otherwise have to manage his retirement investment on his own) the opportunity to participate in the pooled payout funds offered under the plan. The plan would convert any member funds at payout commencement to a benefit stream using well-publicized methods and assumptions. The same rules would apply to every member starting any particular benefit payout. The third-party administrator would establish benefit targets for all members and payout strategies for the member to select from. Given that the members of this plan could have very different retirement goals, we believe it would be prudent to offer some payout options. As an example, one payout option could be for the member to receive a payment that mimics, in most material ways, his payout expected under the C/QPP. This payout could notionally be used to meet the member’s basic needs in retirement. Other forms of payout could be provided to meet other needs. Member payments from some of the payout funds could be managed using a ‘variable annuity’ technique that is used for some U.S. qualified plans. Under this technique, the plan establishes a ‘hurdle rate’ and any investment returns that differ from the hurdle rate are used to adjust member payments each year. For example, if the hurdle rate is four per cent per annum and actual returns for a year are six per cent, then all members participating in this payout scheme would receive a two per cent increase in benefits. This approach could be altered by introducing the concept of a ‘hurdle annuity.’ The hurdle annuity would be used to determine the pension adjustment each year rather than the hurdle rate. In this way, each member participates in the actual longevity experience of the group, as well as the investment experience. We would be managing both investment and longevity risk. Of course, this approach requires that the funds set aside for this payout benefit be separate and distinct from any other plan assets (e.g. the plan assets held for members currently active at work). Other payout funds could be made available that would provide some guarantees or could provide an access to investments that are more volatile for members who were high earners, at their discretion. Some benefits could be temporary, and some could be provided without inflation protection. A payout scheme that mimics the current minimum required under a personal RRIF could be made available for those who want the security of having their retirement funds well cared for if they are unable. One risk that has not been mentioned to date is the inflation risk. It is the proposition of this paper that the contribution required to fund the ‘target benefit’ or ‘expected benefit’ would be determined using slightly conservative actuarial assumptions. If rates of return exceed those assumed in the actuarial projections, this would create room for benefit improvements. One benefit improvement would be to upgrade the earnings profile of the participant pre-retirement so as to move the plan from one replicating an updated career average plan to one more closely paralleling a final average plan. As set out earlier, a second improvement, that would take place post-retirement, would be to use any ‘excess’ earnings to ‘index’ benefits to inflation. Clearly, there is no guarantee that true CPI-indexed benefits will necessarily result. However, this plan would move indexation from a hope to an expectation. (This is very similar to how the national pension system in the Netherlands works.) This ‘targeted’ nature of the COLA is now becoming the norm in may public service pension plans in Canada. The plan assets can be managed in the private sector or by an arms-length government-sponsored investment board similar to the Canada Pension Plan Investment Board (CPPIB). Note that the investment board might be government sponsored, but it would not be government controlled or even government influenced (again similar to the existing CPPIB). Nor would it be controlled by any single plan sponsor. What is important is that total management expense fees should be capped at, for example, 40 basis points (ie., <0.40 per cent). A plan of this nature should be able to achieve this goal easily. As noted above, it would be possible for the government to transfer ‘orphaned’ pension benefits to these pooled funds. This is already possible under several Pension Benefits Acts in Canada. It would also be possible for individuals to commingle their pension assets (and for that matter their capital accumulation plan assets) in these arms-length pooled funds. Having a commingled asset portfolio does not mean that all participant plans need to be identical. The participant plans can have differing contribution rates and differing benefit targets (eg., two per cent final average versus $1,000 per year of service). Only the assets are commingled and the actual pensions managed together once in payment mode. For the plan sponsor, this new PTBPP is a DC plan. For existing DB sponsors, this will release them from a huge amount of responsibility inherent in a classic DB plan. The initial target benefit could be based on some agreed-upon earnings replacement objective. The required contribution rate would be set accordingly, assuming, for example, 35 years of contributions and using slightly conservative actuarial assumptions. The actual benefit earned would, of course, depend on the age of the participant at entry. The plan administrator would provide the member information about his benefit targets, how well it is funded and what level of future contributions are required to reach the targets. This information would be provided regularly throughout the member’s career. Antolin (2009) indicates that a contribution rate of five per cent would provide a replacement ratio of 25.3 per cent, while a contribution rate of 10 per cent would double that to 50.7 per cent. Equivalently, a one per cent increase in the contribution rate would raise the replacement rate five5 percentage points, ceteris paribus. (This assumes 40 years of contributions and a fixed portfolio of 40 per cent domestic government bonds and 60 per cent domestic equities.) Better management and the resulting efficiencies should allow this plan to achieve these targets or more. Since plan participants will receive regular updates on their expected retirement benefits, the members will be able to better place their pension benefits in the context of their overall retirement plan and determine what, if any, need exists for supplementary personal savings. These updates will also remind participants that benefits are not guaranteed and will help them to adjust their plans before it is too late. For some sponsors who, today, have pure, traditional DC plans, this may mean a significant uptick in the contribution rate to achieve meaningful target benefits. For some plan sponsors, this plan design might be viewed as a small loss in that they no longer have the right to unilaterally control the investment of the funds. For the plan participant, this should be viewed as an improvement over a traditional employer-sponsored pension plan where participants often have little to no say in the management of the fund. This new plan will result in huge improvements for the plan participants who are now in a traditional DC plan. No longer will the plan participant have the responsibility for the investment of funds. This will be done by the arms-length independent investment manager(s), either internal or external, reporting to the management board. These PTBPPs should also enhance the retirement income security of employees who are presently in single-employer pension plans, but who change jobs often (ie., portability). Because we are accruing a DC account towards a target benefit, moving from one employer to another should not have as serious an impact on a member’s ultimate pension as it can today in a DB plan. Further, because employees change jobs more often than they change careers, it is quite conceivable that even with a job change, the employee may still be in the same commingled pension fund. Clearly, the investment risk is now that of a huge commingled asset portfolio. The expense ratio for its management should be forced to be less than 40 basis points (although we would target lower) either through pension regulation or legislation thus alleviating the expense risk. Asset values will go up and down, but should not have a full or immediate impact on the benefit schedule. (This is now true for Canadian MEPPs.) However, benefit reductions are possible. A variable annuity approach with sound investment strategies will help manage this process. The plan can manage the payout of benefits and the plan can carry the investment risk in a more collective manner. The authors view this as being parallel to the systems used in the U.S. by the TIAA-CREF institution. If insurance for a particular payout scheme is required for any reason, the plan will be able to obtain that insurance at better rates than those available to individuals. No longer will the individual employee/participant be expected to have the ability or resources to manage investment risks, to manage longevity risk, or to create personal retirement security programs. For that matter, neither will their employer. Some societal risks require a collective delivery system to mitigate the given risks. One example is healthcare delivery. This should be managed collectively and not be left to individual private sector coverage with individual underwriting and pricing. Another is the provision of retirement income security. For this to be achieved, we need to pursue a collective approach. This paper has explained in detail a new pension paradigm that lies between the traditional DB and traditional DC model called a pooled target benefit pension plan (PTBPP). The PTBPP attempts to achieve a more equitable sharing and mitigation of risk than now exists in traditional DB or traditional DC plans and attempts to retain the advantages of both traditional delivery mechanisms. Robert L. Brown (PhD, FCIA, FSA, ACAS) was a professor of actuarial science at the University of Waterloo for 39 years, a past president of the Canadian Institute of Actuaries, and chair for the Ontario Expert Commission on Pensions. Stephen A. Eadie (FCIA, FSA) is a past general chair of the Society of Actuaries Education Committee and is a partner at Robertson, Eadie & Associates. Ambachtsheer, Keith, and Rob Bauer (2007). “Losing Ground: Do Canadian Mutual Funds Produce Fair Value for their Customers?” Canadian Investment Review. Spring issue. Ambachtsheer, Keith (2007). Pensions Revolution: A Solution to the Pensions Crisis. John Wiley and Sons, Inc.
Antolin, P. (2009). Private Pensions and the Financial Crisis: How to Ensure Adequate Retirement Income from DC Pension Plans. OECD Journal: Financial Market Trends 2009 (2). Antolin, P., S. Payet, and J. Yermo. (2010). Assessing Default Investment Strategies in Defined Contribution Pension Plans. OECD Working Papers on Finance, Insurance and Private Pensions 2. Brown, R. and C. McInnes (2014). Shifting Public Sector DB Plans to DC: The experience so far and implications for Canada. Burtless, G. (2009). Lessons of the Financial Crisis for the Design of National Pension Systems. CESIFO Working Paper No. 2735, July. Fornia, William B. (2011) A Better Bang for NYC’s Buck; A Efficiency Comparison Of Defined Benefit and Defined Contribution Retirement Savings Plans. New York: New York City Comptroller’s Office, Budget and Policy Bureau. Munnell, A.H., A. Webb, & F. M. Vitagliano (2013). Will regulations to reduce IRA fees work? Boston College: Center for Retirement Research, IB#13-2. Munnell, A. H., J. P. Aubry and C. V. Crawford (2015). “Investment Returns: Defined Benefit vs. Defined Contribution Plans”. Boston College: Center for Retirement Research. IB#15-21. Shilton, E., (2007). Current Issues Concerning Multi-Employer Pension Plans in Ontario. A Research Report prepared for the Ontario Expert Commission on Pensions. Texas Teacher Retirement System of Texas (2011). Pension Benefit Design Study. Report to Legislature, Teacher Retirement System of Texas. Towers Watson (2012). Towers Watson “DC Pension Index” Shows Prospect of “Freedom 68,” Increases Focus on Personal Finances. Press Release, Toronto: Towers Watson.